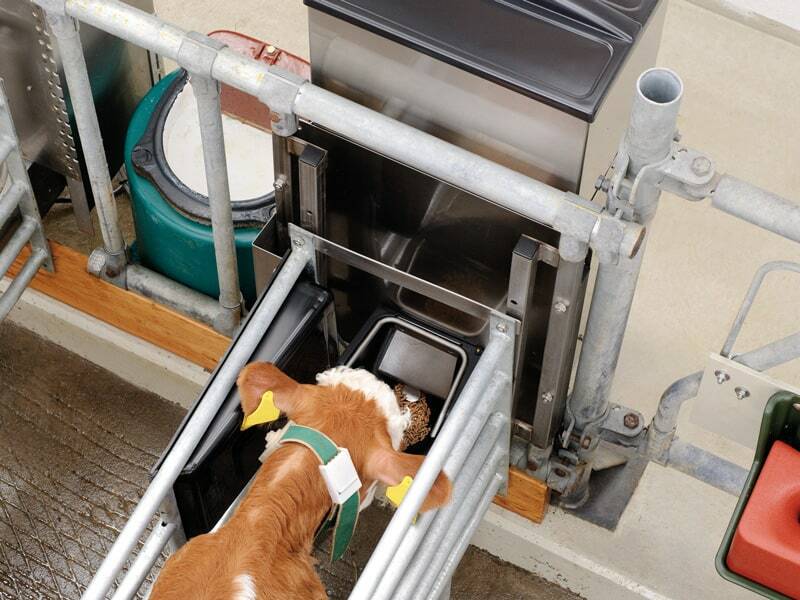 With the concentrate feeder you have a clear overview of your calves’ concentrate consumption at all times: The integrated animal recognition feature registers the calves upon entering the concentrate station and ensures that the rations are dispensed according to need. 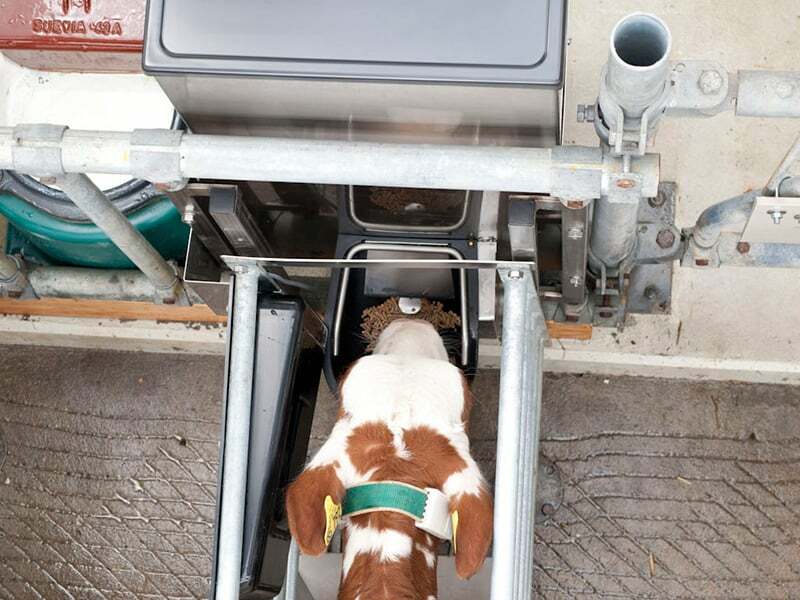 Your calves’ concentrate consumption is documented and can be viewed via the automatic feeder. Moreover, the concentrate feeder for calves enables animal-specific weaning: once a calf consumes the quantity of calf concentrate that you selected, the amount of feed available to that animal is automatically reduced. This allows you to wean each calf according to its own development – entirely automatically! 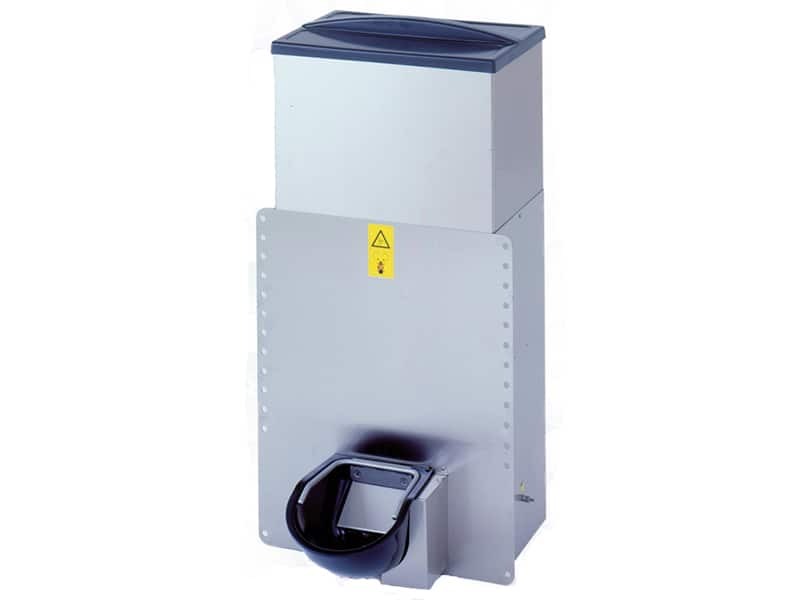 The concentrate feeder optimally supplies your calves. The side-mounted antenna identifies each calf and saves its data.